(North Road, Clevedon) Car Park/Public Toilets. 9kms north of Clevedon. 148 hectare coastal farm park located on pohutukawa-fringed Whakakaiwhara Peninsula. Swimming at high tide. Home to endangered NZ dotterel. 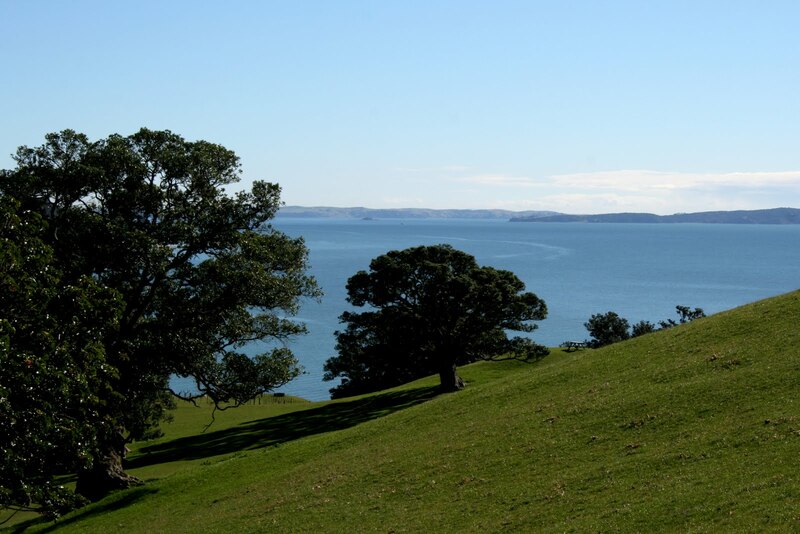 Take the Farm Loop walk and branch off to Whakakaiwhara Pa Walk for 360˚ views across Hauraki Gulf. A good family walk, suitable for all ages.